Divided by politics and now water: Turkey to take care of its occupied half of Northern Cyprus by diverting fresh water in a 48 mile undersea pipeline. Turkey seems to be serious about carrying out a project to bring fresh water to northern Cyprus by means of an undersea pipeline, according to Turkey’s Environment Minister Veysel Eroglu. 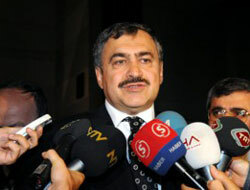 Reported in the Turkish World Bulletin Minister Eroglu announced: “Thus, we will be connected to [the] Turkish Republic of Northern Cyprus with water.” Water for the pipeline will be supplied by constructing two dams; one at Geicitkoy to be finished in 3 years, and the other at Alakopru that will be competed in 4 years. It will be a world first. Building dams in Turkey to store water has been mentioned previously, and one such dam, at Allianoi in Northwestern Turkey is feared to result in the flooding of an ancient Roman spa that is still more than 80% non-excavated. Turkey has also constructed a series of dams on both the Tigress and Euphrates rivers, which has curtailed the flow of these historical rivers to other countries in the region. Cyprus is currently suffering from a very severe water shortage problem, which has resulted in its streams and reservoirs literally running dry. 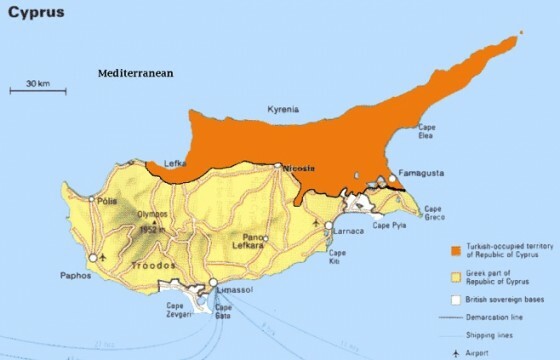 Besides constructing desalination plants in the Greek populated southern section of the divided island, the aforementioned water pipeline in the northern, Turkish controlled sector, will bring water from southern Turkey to the small village of Geçitköy in northern Cyprus. The pipeline project will be a difficult one and the first of its type in world, according to Turkish Environment Minister Eroglu. Even if successful, the project will take several years to build, including the construction of the dams at Alakopru and Geicitkoy. Connecting the northern portion of the island to the Turkish mainland by this water pipeline will also continue to emphasize the division of the island into both Greek and Turkish controlled portions, with the result of the two sections working separately to solve the islands water needs instead of working together, as might be the case if the island’s two divided portions were unified. As for Turkey, its own water supplies are not so abundant as to be able to be so generous in its desire to share its own dwindling water resources with Northern Cyprus. This only points out the continuing political rivalries going on between Greece and Turkey that has resulted in so many problems in Cyprus over the years. Meanwhile Cypriots think the 48 mile undersea pipeline in “very deep water” is just a pipe dream.